Over a decade ago, I left a great career with a multi-national life science company to learn and grow in the entrepreneurial side of the life science marketplace. 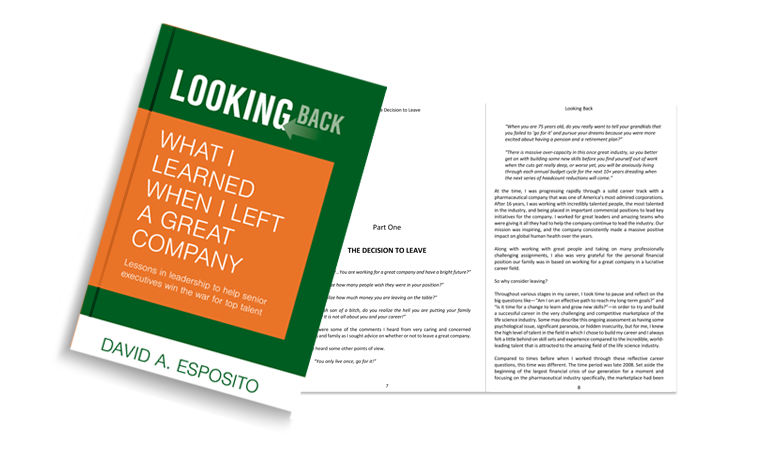 Looking Back, captures the lessons I learned and provides senior executives with action steps to win the war for top talent to ensure their company succeeds in the long-term. Why today’s top talent leave great companies…and it is not what you think. The critical elements to drive competitive advantage and help you build a sustainable, high growth business. The 5 things you can do to win the war for top talent. 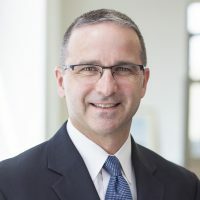 David is a seasoned healthcare executive and combat veteran who has built and scaled multiple healthcare companies that resulted in successful exits to strategic buyers.